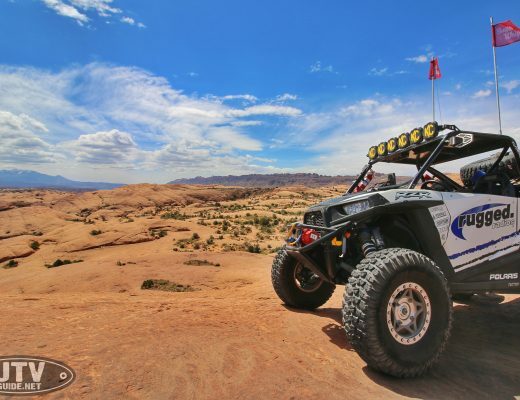 My buddy Dave and and I loaded up our brand new Polaris RZR XPs and drove out to Sand Mountain for a quick day trip. 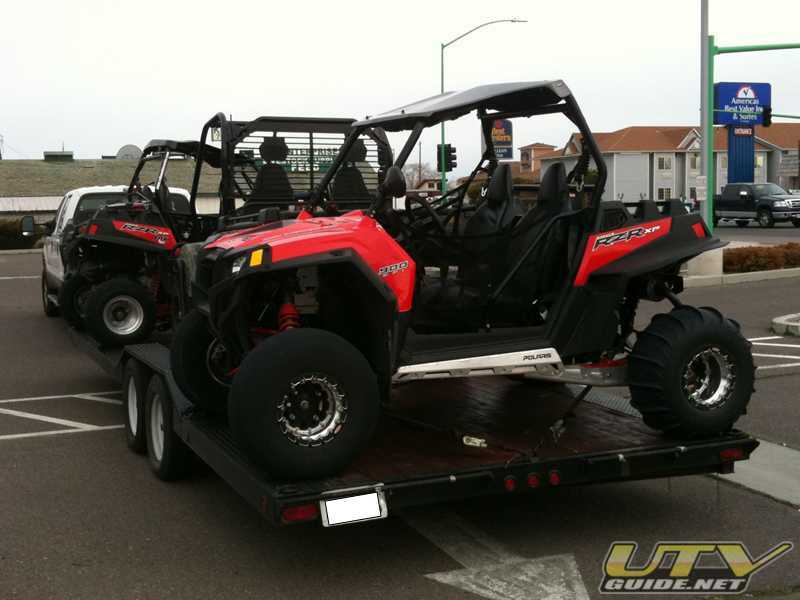 Both of our RZR XPs have completely stock engines (intake, exhaust, etc.) 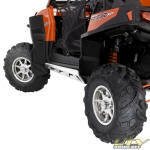 and suspension (Fox 2.0 shocks). 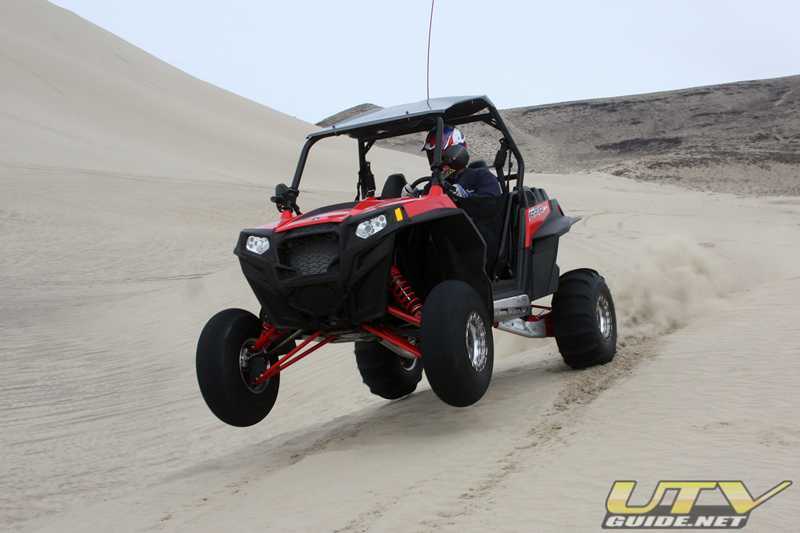 The big change we made from stock are tires for the dunes. 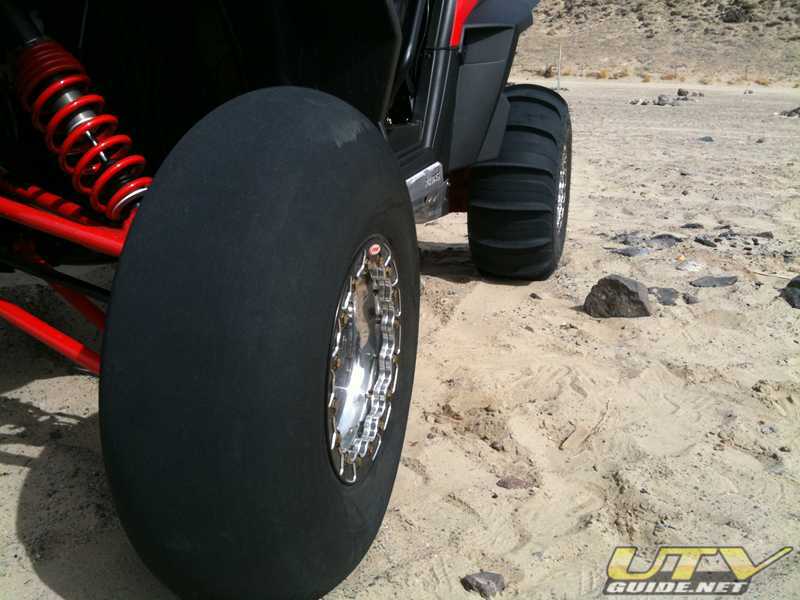 I absolutely love this paddle tire and wheel from Fullerton Sand Sports and OMF Performance. 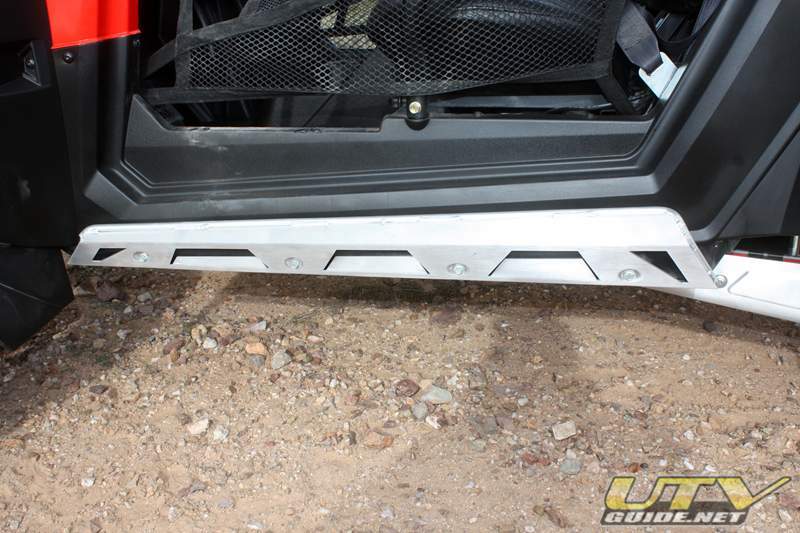 STU Blasters in the rear with smoothies up front mounted on OMF billet center beadlock wheels. The float provided by this setup is incredible and the XP’s power was able to pull the tall tires without much effort. And beyond the performance, this setup just looks awesome. Really makes the XP look big. 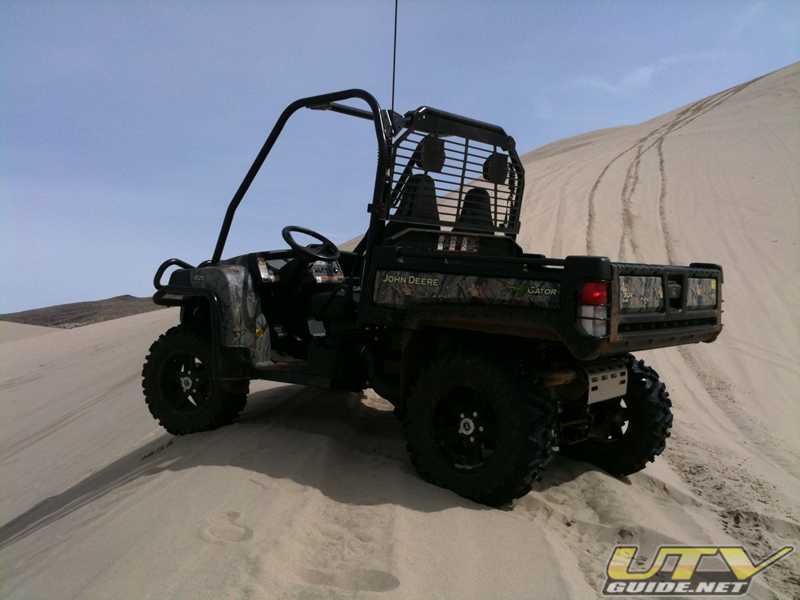 We started out cruising the baby dunes to get a feel for the cars and to see what the mountain looked like after the recent storms (always a good idea to check the area for new drop offs and holes before going real fast). I had my friend Miguel in with me and Dave was solo. After playing for 10 minutes or so, we had worked our way around to the back side. We got to the bottom of the back side and I figured we made a run up the back along the ridge which is very steep, but not quite as hard as straight up the back. WOW! We made it right up without hesitation. Even with two of us in the car. 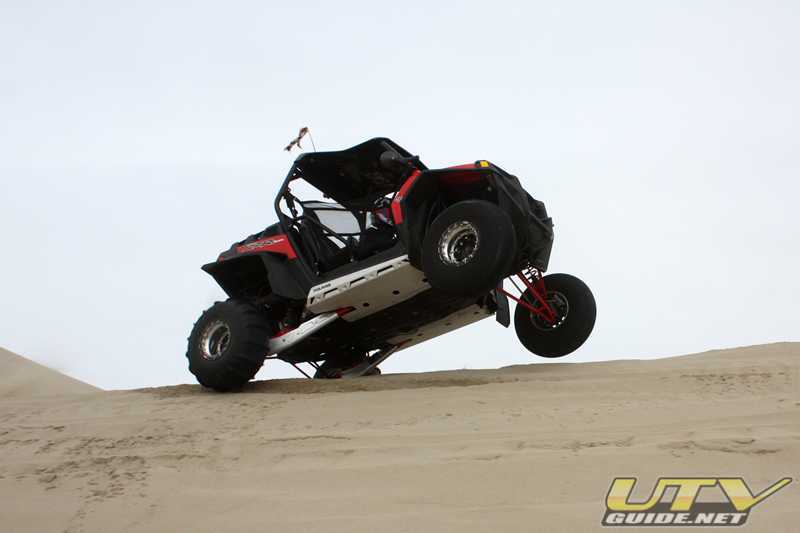 The sand was wet so that helped, but I have never made it up the backside in any UTV that is so close to stock. We turned and headed back down to try a straight shot. To my amazement, once again we made it up with room to spare. Incredible! I dropped Miguel at the top so he could take a quick video with my phone. After checking out the rest of the mountain, I decided it was time to get some air in the XP. 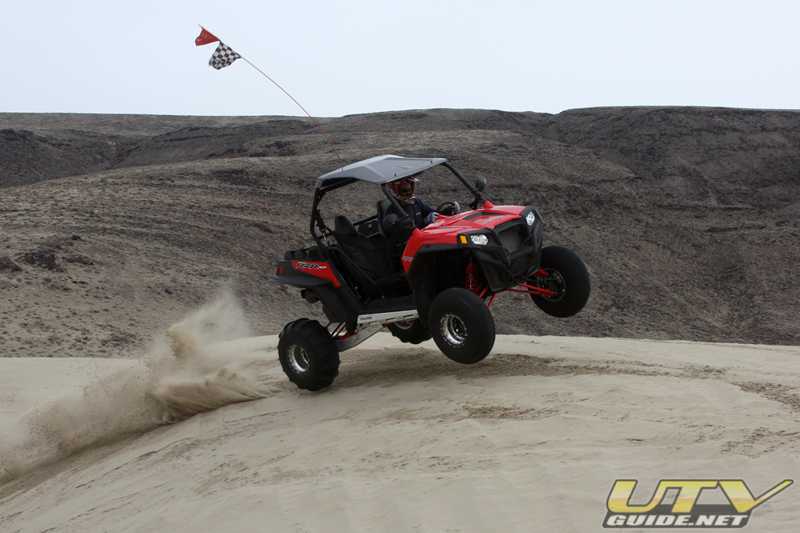 I am not a big jumper, but the RZR XP makes it easy. 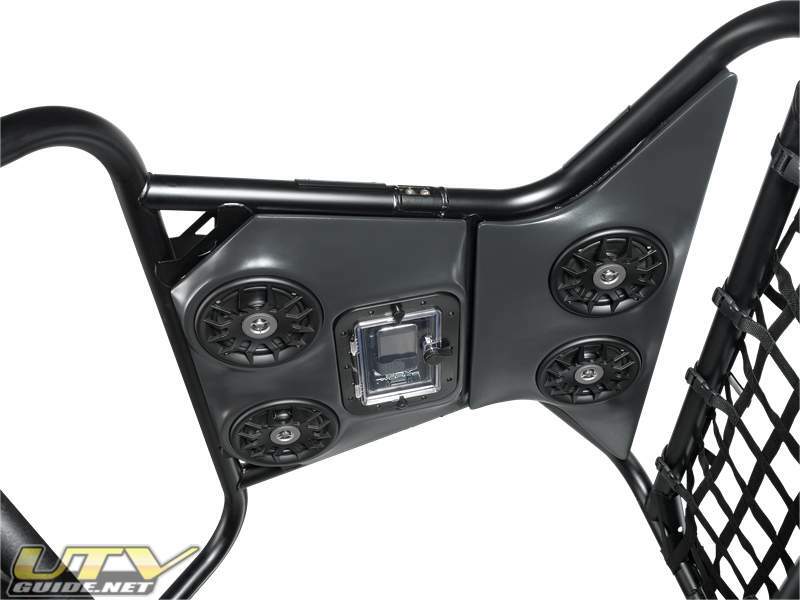 The long travel suspension with Fox 2.0 shocks soak up the landings with ease. I had to remind myself that this was for the most part a stock machine. 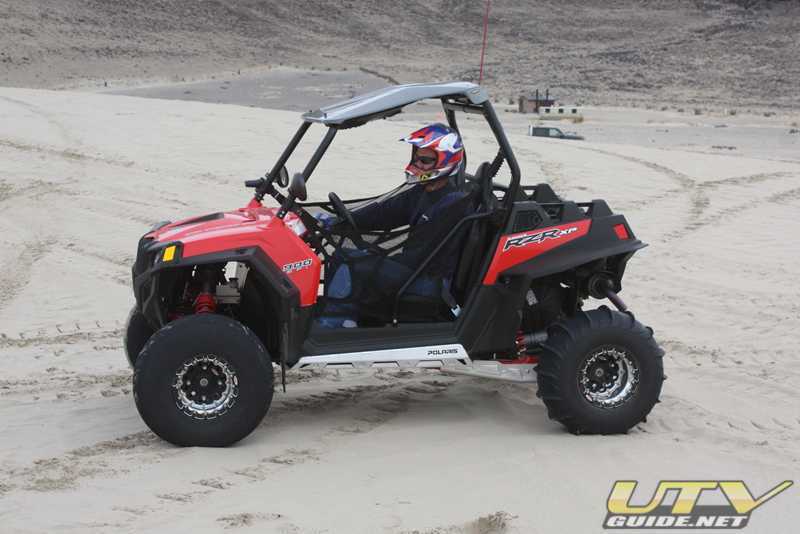 The RZR XP jumps well and the suspension soaks up the big hits with ease. 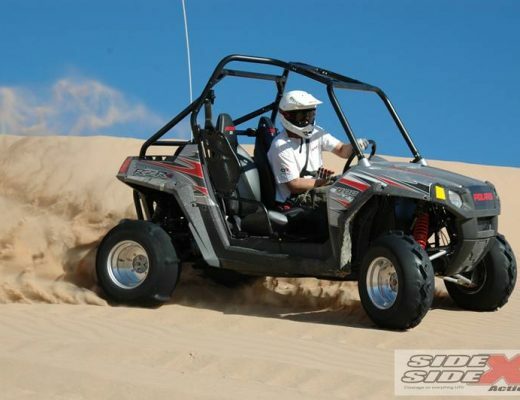 The wind had recently blown pretty good at Sand Mountain, so there were lot’s of sharp ridges. 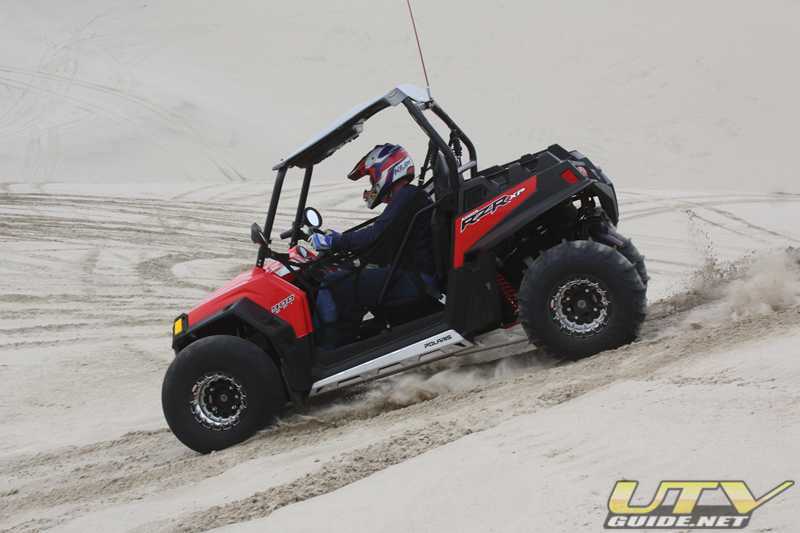 I absolutely love to transition sharp ridges in the dunes, so I was anxious to see how the RZR XP would handle it. 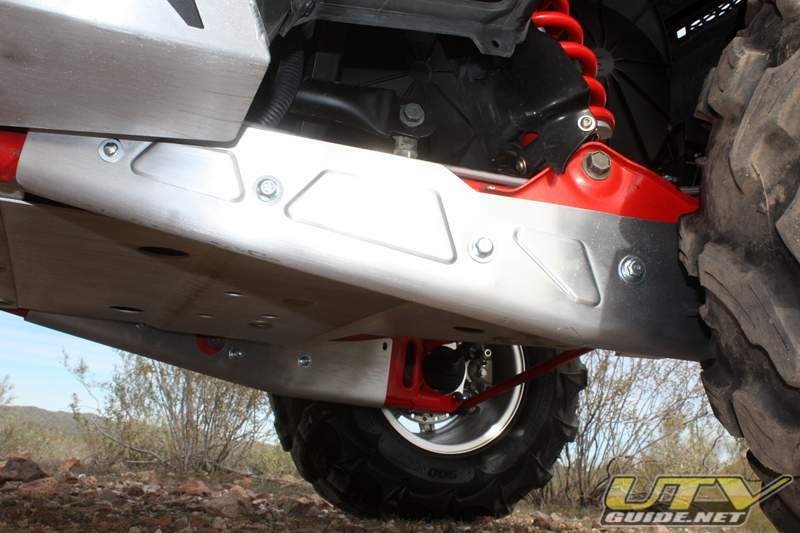 The XP’s wide stance and ample ground clearance made the cross over ridge lines smooth, stable and predictable. The handling reminded me of being in my old mid-engine V8 sand car. And the torque provide by the twin cylinder, 88 HP Prostar engine added a nice level of control. It was easy to feather the throttle and still have instant power available when needed. After about five hours of playing in the dunes, we loaded up and headed home. 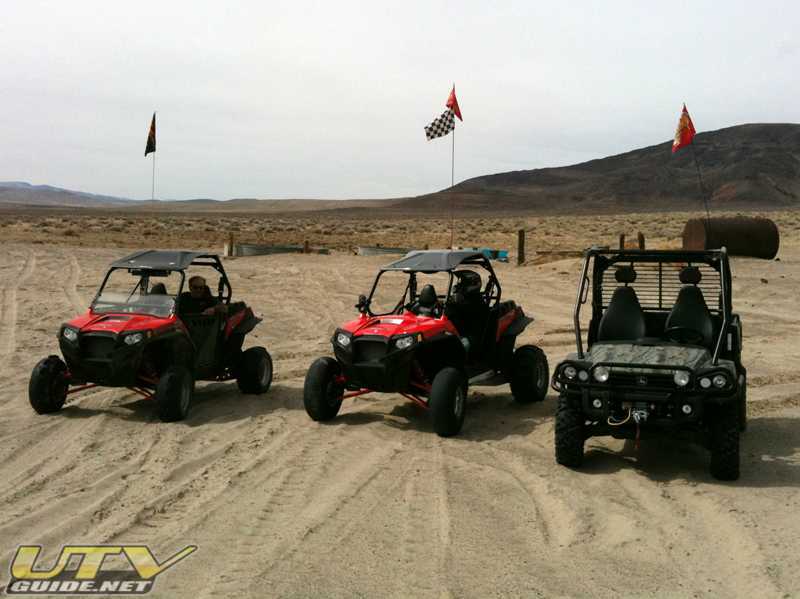 Everyone was thoroughly impressed with the new RZR XPs. 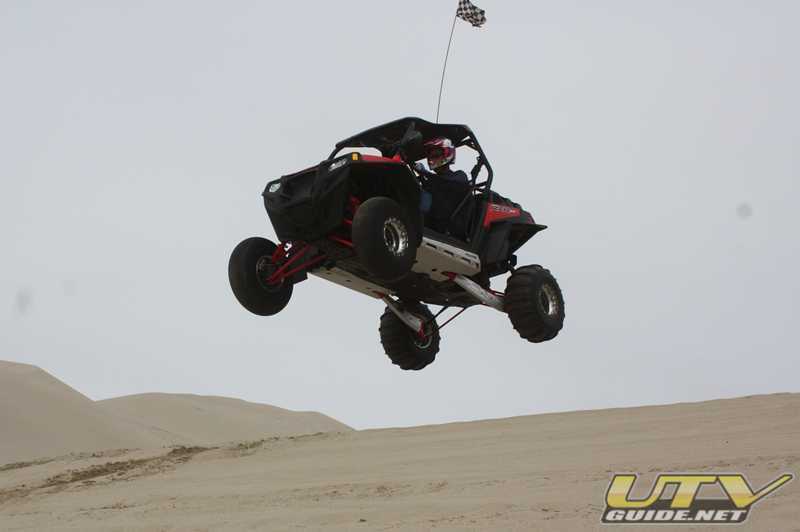 Can’t wait to get back out in the dunes for more! 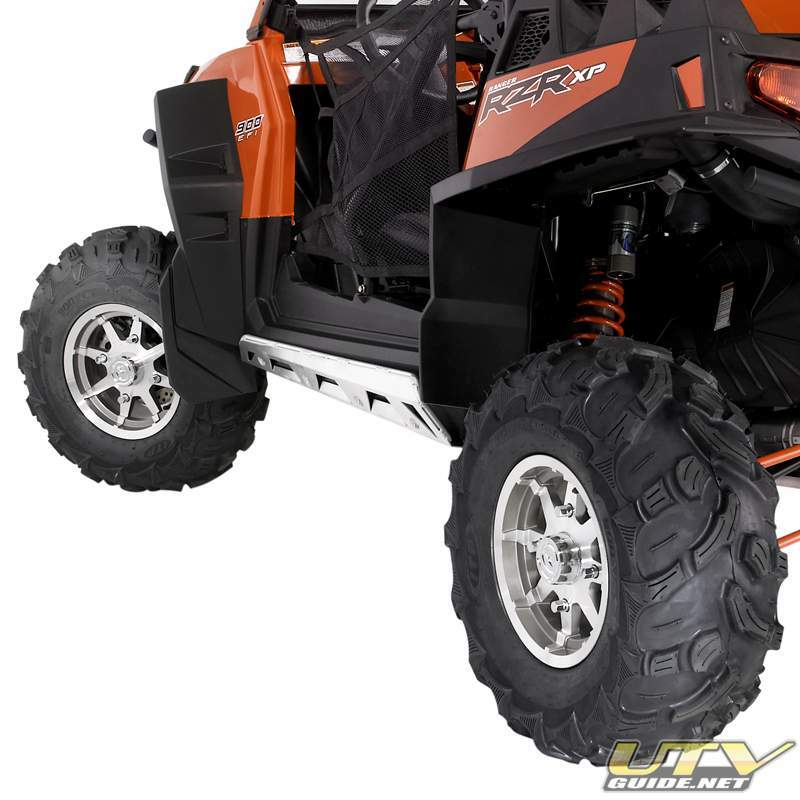 Besides the sand tires and beadlock wheels, we have added just a few bolt-on accessories to our RZR XP. 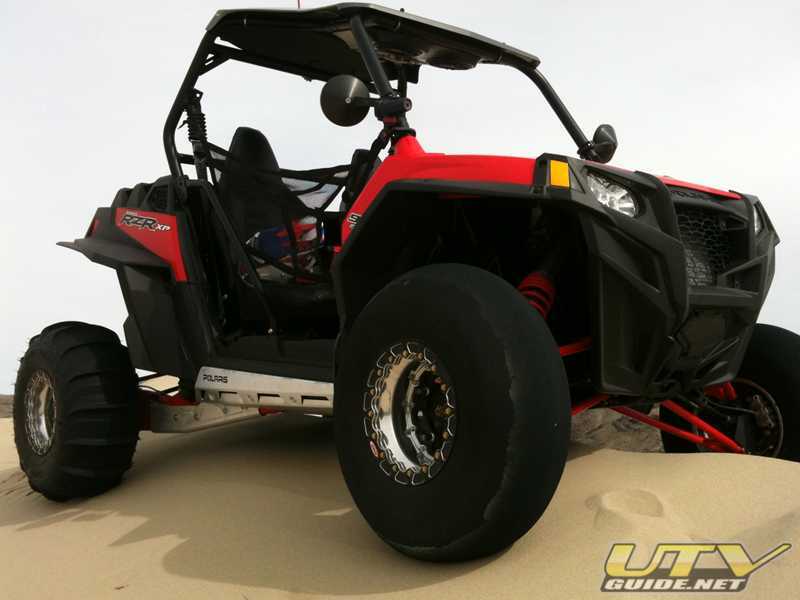 These two items are too important for dune riding, but I plan to take the XP on some rock crawling adventures and want to make sure things are protected.